Every single day, 70,000 to 80,000 domains expire and become available to register. 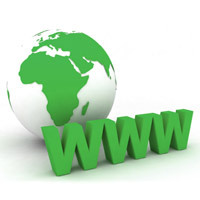 Among them are HUNDREDS of very valuable domain names. – People go out of business. – People start projects and never follow through. – People have no idea their domains are of value. – Domainers can’t afford to renew their portfolios. I could list a hundred more reasons, but the point is, MANY, MANY premium domains are available to you *every*single*day*. You just need to educate yourself on what is in demand, and register the domains that fill that demand. Is it easy? NO! It’s a royal pain to scour through 80,000 names on a daily basis. Is it worth it? Heck yeah! I personally register many domains on a daily basis, for $10 and sell them for hundreds each. Some for thousands. There are MORE premium domains available to you right now than you could ever take advantage of. Every single day I feel like a kid in a candy warehouse. There are FAR more quality domain names available to me every single day than I could ever use. My efforts barely scratch the surface. STOP the lie. Great domains will ALWAYS be readily available. In the 9 years I’ve been doing this full time, I have never had a single day where there wasn’t an over abundance of readily available premium domains. I absolutely agree, Gene! But it benefits lots of other people to fool us into thinking otherwise. Keep up the good work!! You are absolutely correct Gene! Even if there were ONLY 10,000 domains that became available, on a daily basis, there’s still those keyword rich ones that haven’t yet even been registered, or (researched) thought up. With the recent release of new TLD/extensions – man, the possibilities are nearly infinite! Ye it all stems from a “scarcity” mindset. Technology itself creates new domain demand everyday. Remember when nobody did webinars? Imagine scoring some hot .com names around the keyword webinar – there were so many available that these days sell for $5,000+. Exactly Jason – there is new technology and new buzzwords being created every day. Always new and fresh registrations to be had, along with the multitude of drops. You’re totally right about what you’re saying… there’s no way ever we’re going to be “out of profitable domains” to register and sell. But truth be told… It’s better if our competition continue to think that way, LOL. By the way Gene, I’m a member of your Domain Cloud membership and the guys at Rapid Crush gave my your email to access the coaching by email you offered that day on the webinar. Opportunities are endless in this field. The old saying, One man’s trash is another man’s treasure has never been more true with domain flipping. I’m very new to it all but got my first taste of quick success selling 2 domains last month to an end user. So imagine my delight when your program was shared via Jason F last week. I’m eager to get started but do have a question or two for you. I sent the first question via your contact form a few moments ago. Also, do you know if Estibot has any active coupon codes? I came across one but didn’t see anywhere for it to be applied during the check out process and their response via their website contact form has been very disappointing. If you are an affiliate and have a coupon code, I would like to purchase a subscription asap. Hi Yoki, I’ve been using Estibot for years, but have never seen a coupon code. This is so true Gene, I am coming across many great domains these days! I also wanted to thank you for all your help and support lately, much thanks. I look forward to the Power Of Local Domains starting . Which search engine do you use to check expired domains? New to domain business. Reading stuff to figure out more and more. COuldnt found a place to introduce myself so thought to post here. Hope this post doesnt get deleted. First i had the intention to buy as many domaisn as possible and parked them but as far read, came to knw that parking is never a good source of income. So now working on figuring out right domaisn which i can sell for $100 or more and who know i get a jackpot of a domain which gets offer $100,000 :).